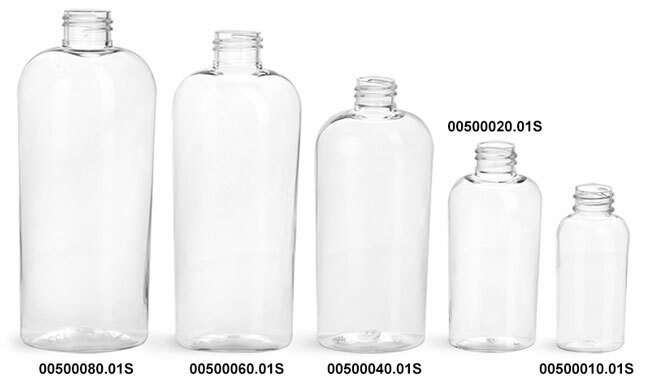 These clear cosmo ovals are made from PET plastic and are offered with 2 different dispensing pumps. 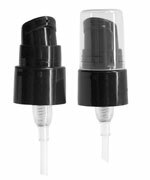 The white treatment pumps are compatible with the 2 oz clear cosmo ovals and are capable of dispensing products such as serums and cosmetics. 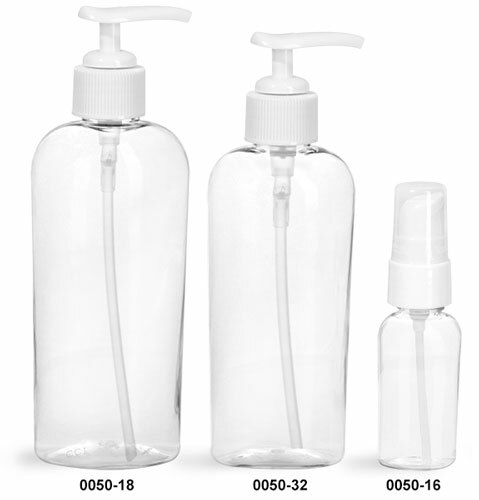 The white lotion pumps, used for dispensing larger quantities of product, are available on the 6 and 8 oz clear cosmo ovals. The lotion pumps can dispense product in a smooth even amount which could include lotions, sunscreen, and more.